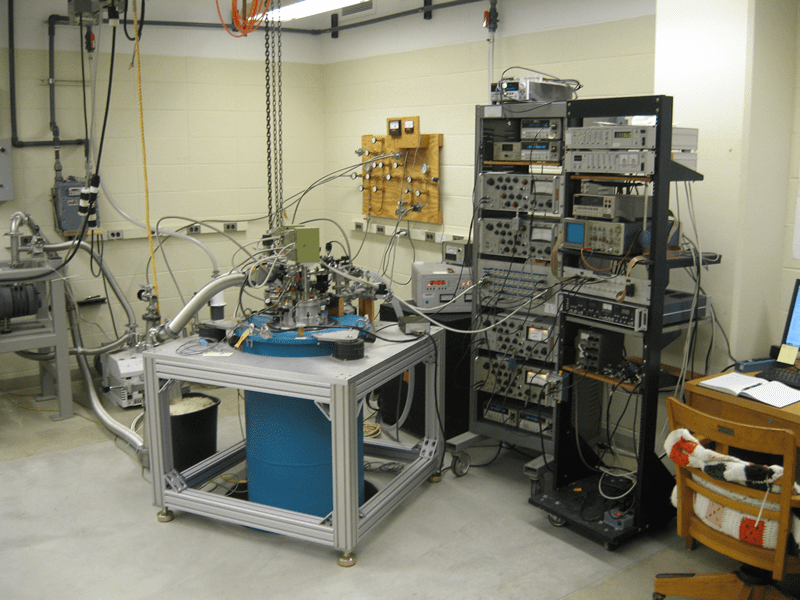 In our low temperature measurement laboratory we perform electrical transport experiments related to the fractional quantum Hall effect and quantum dot-based spin qubits. Low temperature measurements are carried out in a variety of cryostats depending on the experimental requirements. Initial characterization of materials and devices is done in a variety of 4K dipper probes in helium storage dewars. 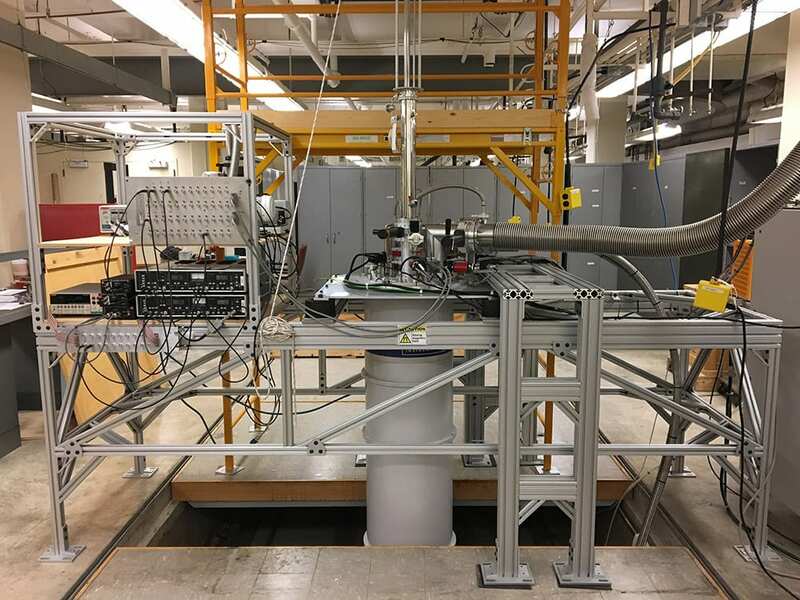 Following this initial screening, devices can be cooled to lower temperatures in large magnetic fields in one of several systems. 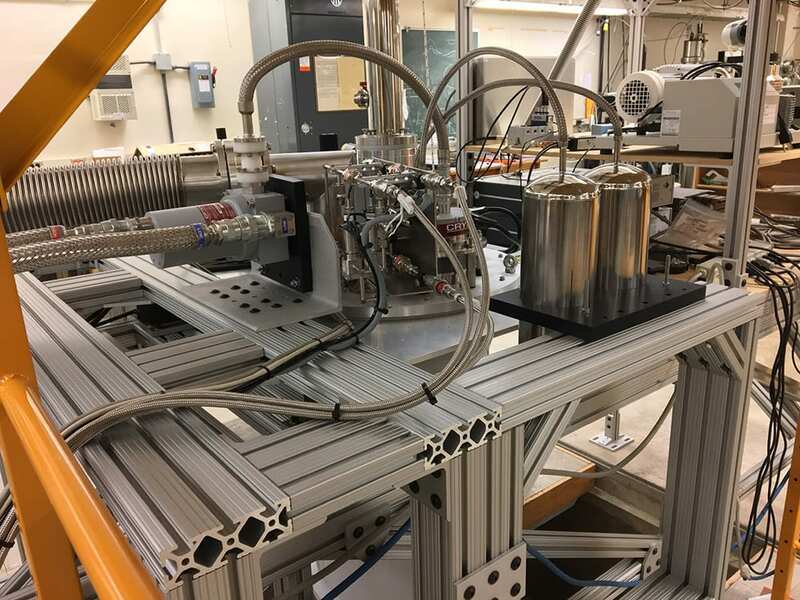 A Janis He3 system allows samples to be cooled to T=300mK in fields up to 9T, and the system's top-loading design allows samples to be thermally cycled in as little as 3 hours. Lower temperature experiments can be performed at T=10mK in fields as high as 17T in the Oxford Kelvinox dilution fridge. 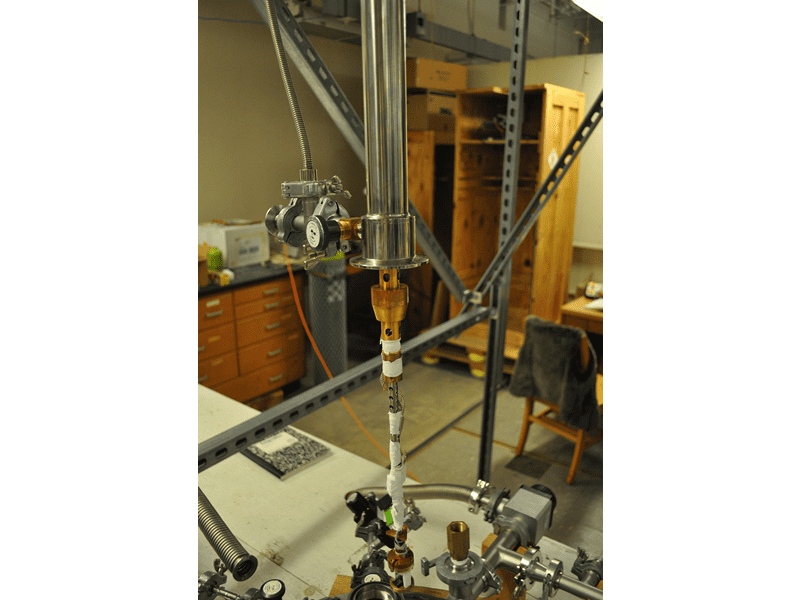 The group’s ultra-low temperature capabilities were recently expanded with the addition of a cryogen-free, top-loading Oxford Triton dilution fridge capable of cooling samples to 10mK in fields up to 8T. 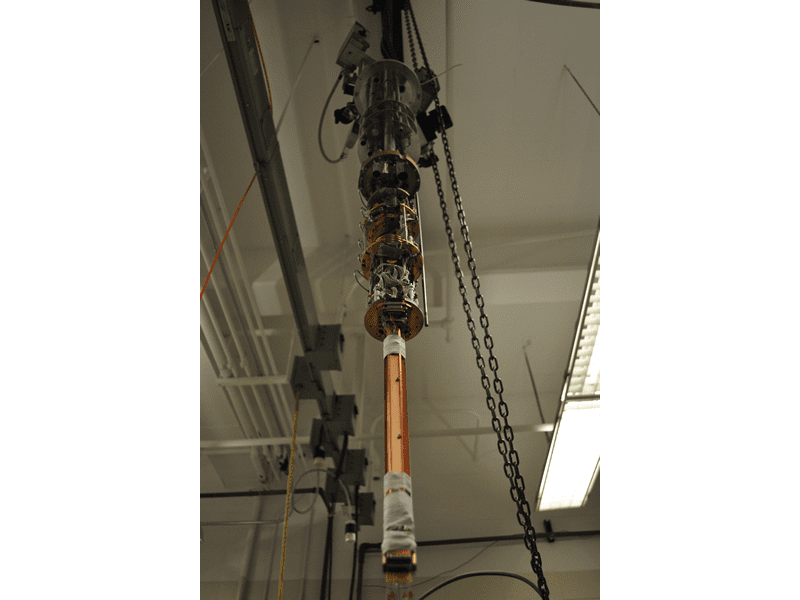 A wide array of low-noise electronic equipment enables very precise experiments to be carried out at the extremely low excitation levels required at low temperature work. The group also has shared access to the department's helium liquefier which enables reliable, long-term operation of the wet fridges.